Welcome to the 26th podcast episode of Our Hen House, featuring an interview with Meena Alagappan of HEART, with special guests Stewart David (Carolina Action for Animals) and Matt Rice (Mercy for Animals). On today’s show, we begin with a very exciting announcement about the influence that Mariann’s New York Times letter to the editor had on Jasmin’s grandma. 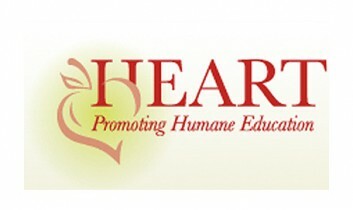 Joining us today is Meena Alagappan — director of HEART (Humane Education Advocates Reaching Teachers). Meena will talk to us all about the importance of humane education as a means of creating social change, and she’ll share some of her personal journey from animal law to running HEART. In our news section, we will be joined by Stewart David, co-founder of Carolina Action for Animals. Stewart will share his thoughts on Jane Velez-Mitchell’s “Jane’s Fight for Animal Rights” which aired this past week on her CNN HLN show, Issues With Jane Velez-Mitchell. We’ll also discuss the outcome of a puppy mill bill in North Carolina, and an egg bill in California. For our review section, we will be joined by special guest Matt Rice — of Mercy for Animals. Matt will review the new animal rights Facebook game called Farm Rescue, which was conceived by activist and artist, Mark Middleton (of Animal Visuals). How do you get in contact with Carolina Action for Animals? I googled it but didnt get any hits. Im here in NC and we dont really have any animal groups besides the companion animal ones. I would love to get in contact with Stewart. Thanks.